If you can brake faster, you win. Hang around racers of any stripe, from cyclists to skiers, and every genre of motorsports, and you’ll hear that mantra repeated incessantly. Formula 1 is obsessed with tire compounds because braking in a shorter distance means more time on the gas, and that equals winning. Giant has taken that lesson and applied it to their new 2018 aero line of Propel bikes, and the key is, you guessed it, the brakes. 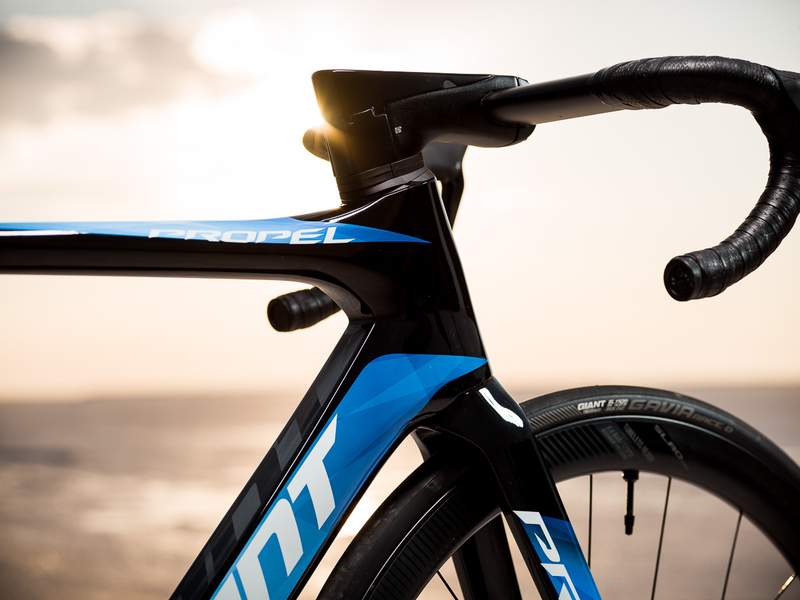 The new line of Propel bikes come equipped with disc brakes, and while that may be old news for non-aero road frames, most bike makers still think disc brakes create aerodynamic drag, and have stuck with rim brakes on their time-trial-focused and wind-cheating designs. But the downside of rim brakes, especially with carbon fiber rims, is lousy braking performance. Add on hills, rainy weather, and corners, and you have a recipe for tentative control in the worst circumstances. Suddenly a super speedy, aero frame is less useful for daily training, and that makes it a specialty tool most of us won’t want. 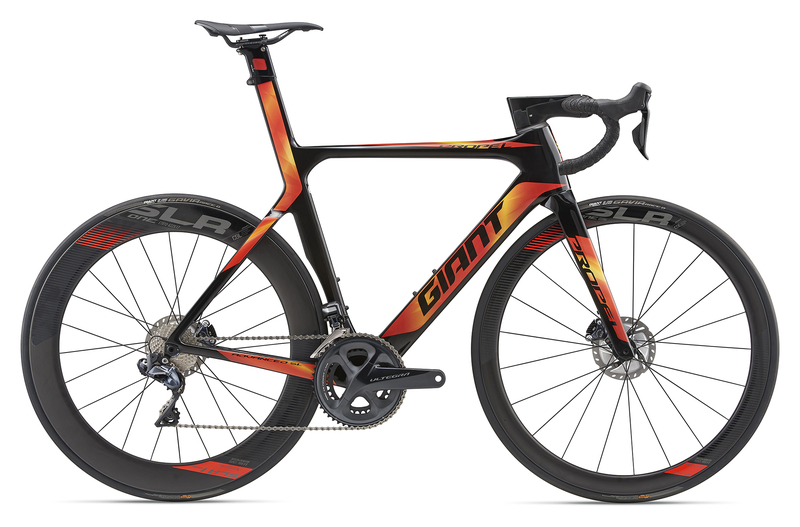 So the big rethink by Giant required not presuming that discs would create drag, but rather, figuring out how to integrate them, as well as how to make their bikes stiffer, lighter, and even more aero. Because if their bikes could stop in a hurry, there’d be no restriction on use case, and after all the name of the game with aerodynamics is saving rider energy. Make a machine that handles and is also great at wind cheating and stopping, and you have the ultimate weapon. To achieve its goals, Giant reprogrammed its entire testing procedure. Lots of bigger brands, including Giant, test in wind tunnels. But Giant wanted to test “dynamically,” meaning integrating footage they had of real racers on the road and laying that data over test positions in a wind tunnel. So they then took that real-world info and spent three years wind-tunnel testing Propel prototypes with discs, and used a new breed of bike “mannequins” that they could move around, and a rig that allowed them to test the bike and faux rider in multiple positions, and various wind angles. That’s important: It let Giant capture exactly what happens when you ride, where the wind is rarely continuously hitting you from one angle, and, crucially, where any drag created by the frame, rider, and yes, the brakes, has to be accounted for cumulatively. The result of all that testing, says Giant, are three crucial differences in their Propel bikes, which range from $3,700 to $11,300. First, all of these bikes have carbon frames and aero wheelsets, with a thick, 65mm rim rear, and a thinner, 42mm front rim. The reason is that Giant found that the front rim is far more affected by cross-winds, because it’s never perfectly straight. A wider rim might seem “faster,” but if you’re expending energy fighting to keep it straight, you’re losing time. Giant also integrated the brake caliper behind the left fork blade, and says testing showed that because air is already broken up by the leading edge of the front tire, this position doesn’t create more drag, whereas caliper brakes mounted elsewhere add resistance. 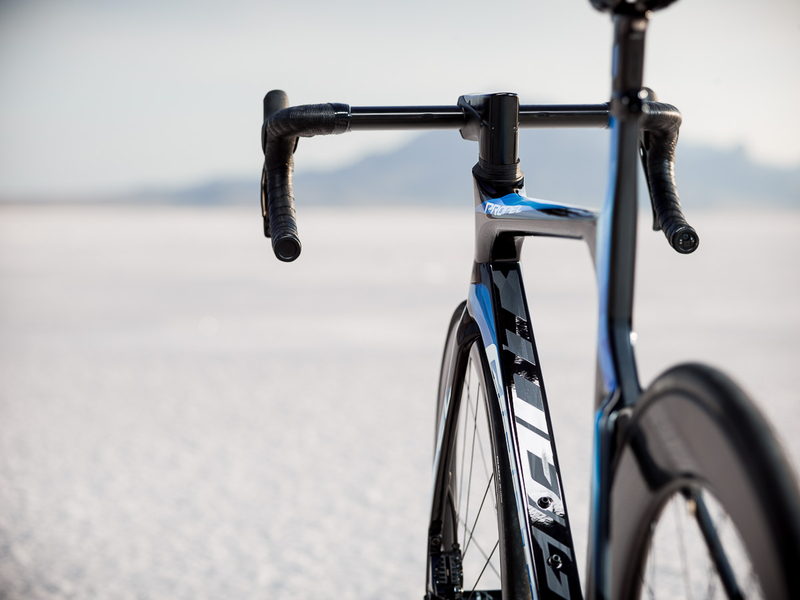 Second, all Propel bikes use integrated aero bars, stems and seat posts, as well as thru-axles. While the carbon layups of the frames differ from the least expensive Propel Advanced Disc to the most expensive Propel Advanced SL 0 Disc, shedding weight and adding stiffness at the top end, all of the bikes are designed as “systems” because that yields the least drag and the most efficiency. That does limit the ability to adjust some of the cockpit fit, so this is definitely a try-before-you-buy kind of machine. Last, Giant was after an aero bike with great handling chops. If you’ve ridden other aero machines you’ll know that they can get especially squirrelly on descents, and aren’t necessarily ideal for sweeping corners, let alone for climbing. Giant, especially at the lower end, wanted to build a fast, stiff, slippery bike that feels natural on all terrain; the kind of bike you’d want for training rides and group rides. So they’re stressing, and we intend to find out during our own testing, that the new Propel line is a race bike that’s far less of a hot house flower than past aero machines. Given the $3,700 starting entry point (including aero carbon rims, internal cable routing, Ultegra drivetrain and ANT+ wireless cadence sensor), this is finally breakthrough tech more riders can actually afford. Even if the only racing you do is against your local peleton during the weekly shop ride.